Our Business List Database contains a massive database storage that delivers excellent business listings to our clients. By purchasing our USA Manufacturing Database​ information, you will have access to tons of USA Manufacturing related companies. Our team provides the freshest business database in the web for B2B purposes. 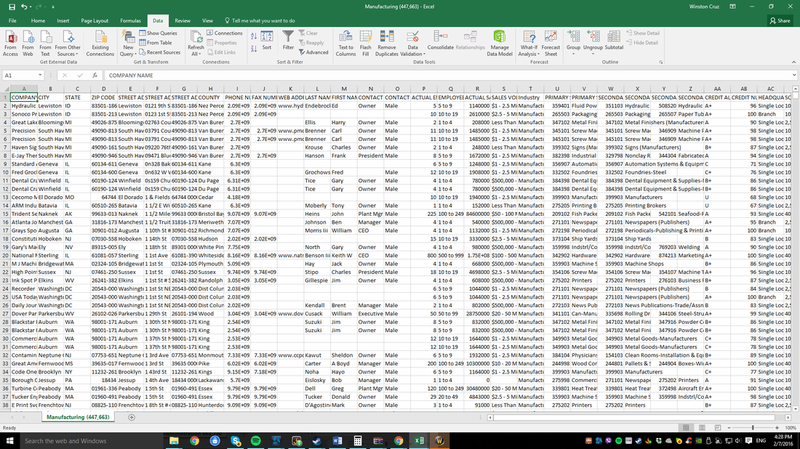 For Manufacturing Database, we have a total of 447,663 companies listed compiled in CSV format that can be opened via Microsoft Excel to give you ease of access and unlimited export, search and edit features.